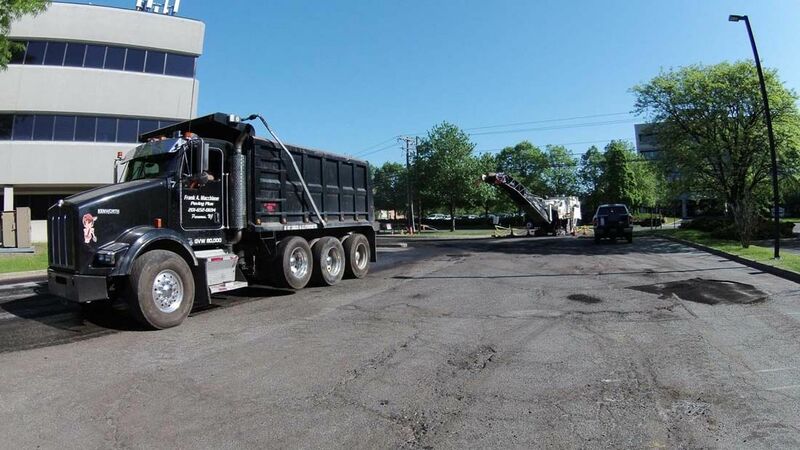 Paving Plus has been providing businesses, non-profit organizations, and other commercial facilities in Bergen County, New Jersey and surrounding areas with pavement striping that gets noticed. Our line markings are clear, clean, and improve the usefulness of any asphalt surface. If your parking lot lines are faded and unclear it may be time to get a free line striping estimate from Frank A. Macchione – Paving Plus. We’re your local Bergen County line striping company. Give us a call at 201-652-0694 for a free estimate or fill out our contact form. We’ll give you a cost estimate within 24-48 hours. Non-profit organizations and commercial properties need to be attuned to traffic flow, parking space size, and signage to ensure the safety of guests, customers, and employees. Bright lines and marks give drivers guidance. Making sure your parking spaces are clear and comply with ADA guidelines is a must for any commercial parking lot. Paving Plus has decades of experience creating asphalt surfaces, maintaining them, and applying markings on commercial asphalt surfaces. Our paving marks help ensure that your parking lot complies with local regulations and the American Disabilities Act (ADA). We can create vibrant yellow speed bumps, handicap parking spaces, loading zone areas, and pedestrian walkways. Our specialists use paint to make curbs, cart areas, and fire lanes noticeable. Additionally, asphalt marks are not just limited for parking lot use. They also promote safe driving by making lanes easily visible. In addition, markings and lines can create recreational courts or accent playgrounds. We use asphalt paint that resists weathering, stands up to traffic, and is virtually odor free. Our fast drying striping and markings provide any asphalt surface with a finished, attractive appearance. Paving Plus is a leader in creating clean, durable striping on parking lots, roads, and other asphalt surfaces in North Jersey. If you need new asphalt striping or want to refresh old striping, consult our experienced, insured specialists. Let the reputable, licensed contractors at Paving Plus recommend and apply markings that will maximize the use of any paving. Call 201-652-0694 or fill out our online form to request price quotes on striping, pavement markings, and other paving services.